With a strong pedigree and management structure, the Roofline Group is nationally recognised as a leading, reliable specialist contractor with a proven track record in our core services. We add value through advanced, intelligent and creative methods to deliver outstanding roofing and waterproofing solutions, all under one single point of responsibility. One of the Roofline Groups core strengths is the ability to tailor our structure to our clients business. Every project within our portfolio is different as are many of our client’s requirements. Therefore we fully understand the need for individual expertise. Every piece of our business has a link to a senior member of the management team. This ensures that our clients get the benefit of our senior management’s considerable experience in helping our clients deliver their goals, both physically and financially. 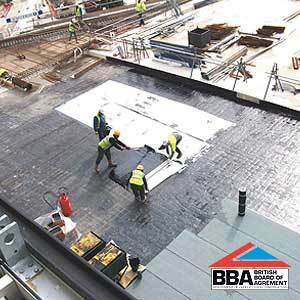 As one of the UK’s largest flat roofing and waterproofing contractors, we have the support of some of the world’s largest product manufacturers and are a key account for many of these in the UK. This ensures that our delivery to clients includes manufacturer support and Insurance backed warranties on almost everything within our product range. Hot melt structural waterproofing is an environmentally friendly formulation that provides a strong, durable, flexible, lightweight and self healing monolithic barrier to the transmission of water and water vapour. Designed to last the lifetime of the structure to which it is applied, it eliminates future maintenance and offers low life cycle costs. 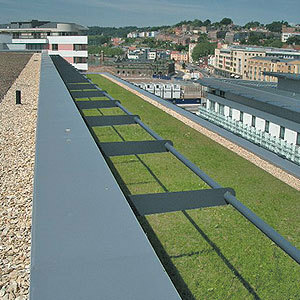 Suitable for: flat roofs, podiums, terraces, car parks and green roofs. Roofline’s directly employed hot melt teams have installed over 2,000,000m² on hundreds of buildings and structures with this market leading waterproofing technology. Our synthetic single ply division combines the collective experience of over 70 installers, making us one of the most experienced single ply specialists in the UK today. We offer class leading PVC, TPO and EPDM roofing systems to meet even the most stringent environmental standards including BREEAM and low GWP requirements. All of our single ply membranes have a minimum of 20 years warranty packages including options of Independent Insurance backing and no single ply membrane in our portfolio will have a life expectancy of less than 25 years’. Some of the UK’s most innovative and prestigious buildings have been protected by our world class single ply systems. 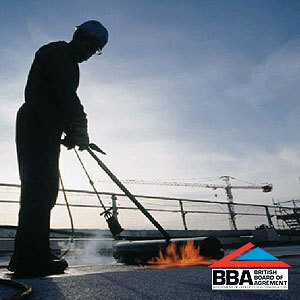 As our original core service, Roofline have installed over 7 million meters of bituminous built up waterproofing systems. Our directly employed teams have been laying high performance SBS and APP modified systems for 3 decades and we are truly one of the most experienced BUR contractors in this field. 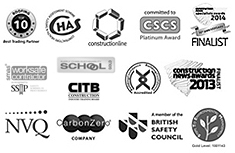 Over 50 of our installers have been trained through our Academy scheme up to NVQ level standards, offering the highest quality of installation to compliment the high performance systems we offer. Systems available include self adhesive (no flame), traditional torch on / pour and roll and hybrid variants. Roofline Group offer an extensive range of Liquid Roofing and Waterproofing solutions. Products available include low odour, fast curing and durable products that suit many scenarios including balconies, podiums, stairs, basements, walkways and wet rooms as well as areas where hot works are unsuitable. 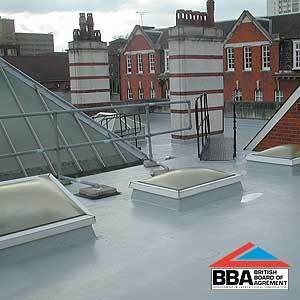 Our Liquid Waterproofing teams are certificated by our material manufacturers and specialise in this particular discipline. Environmentally responsible and attractive ‘Living’ Green roofscapes. 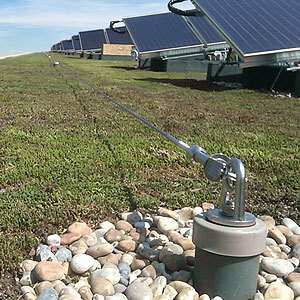 The successful installation and development of green roofs requires many factors, from initial conception through to planned maintenance. 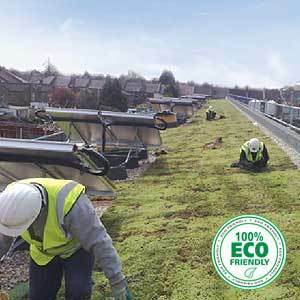 The Roofline Group are one of the UK’s largest and most established green roofing installers with over 500,000m² of various green roofscapes installed by our craftsmen nationwide. Roofline is dedicated to providing complete safety solutions when gaining access to work areas at height, particularly for maintenance personnel. 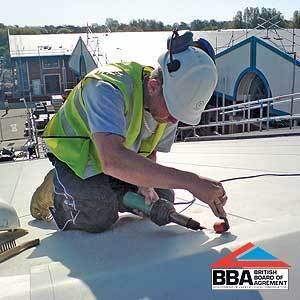 From the point of egress to the desired work station, whether a new building or an existing structure, Roofline will seek specialist advice from their supply chain partners around the concepts of roof access and both collective and personal protection, whilst fully complying with the relevant codes of practice, H&S regulations and British Standards. 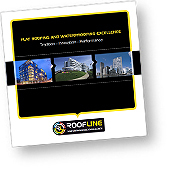 Roofline offer a total waterproofing package as a ‘single point solution’, reducing the number of sub contractor packages and streamlining the procurement process for clients.